We’re Getting More She-Ra By the End of the Month! I absolutely loved the first season of She-Ra and the Princess of Power. 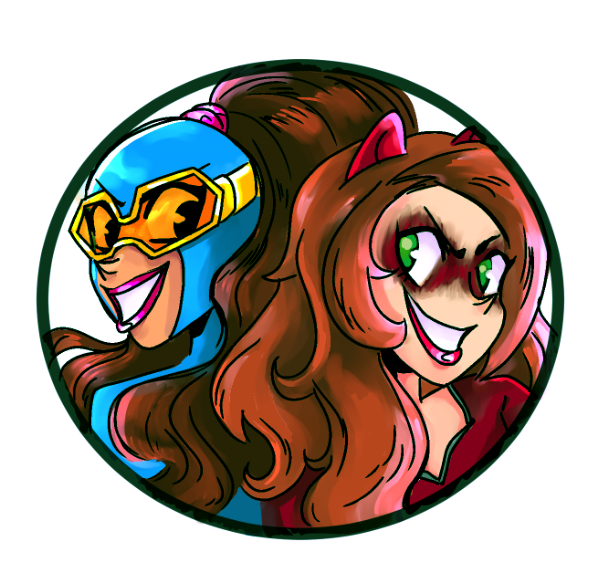 It was pretty much perfect, and everything I could want from a modern cartoon reboot of an 80s classic. And season is arrives on April 26! Sometimes a piece of entertainment comes along that makes you change everything you thought you had planned for your blog. 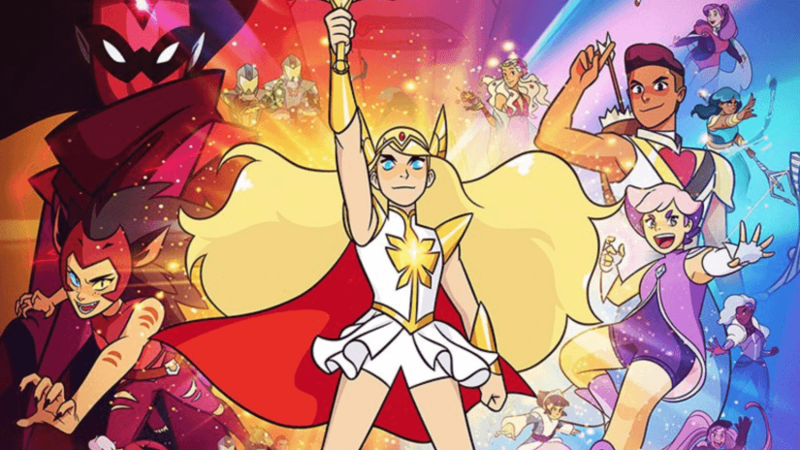 I don’t review TV shows often (unless they’re superhero shows), but after watching the first season of She-Ra and the Princesses of Power on Netflix, I knew I had to do more to preach the good word about this cartoon. Holy cow, you henchies, it’s good! Based on the He-Man spin-off from the 1980s, She-Ra and the Princess of Power is about Adora, raised and trained by the evil Horde to help conquer the planet of Etheria. When she finds a magic sword that transforms her into a golden Amazon named She-Ra, she starts to learn just how evil and damaging the Horde really is. Adora switches sides and joins the Rebellion, making fast friends with some of the titular Princesses of Power along the way. The new show was adapted and brought to the screen by Noelle Stevenson, one of the genius co-creators behind Lumberjanes. You can easily see Stevenson’s style in She-Ra, and I already loved her from Lumberjanes. She-Ra and the Princesses of Power is everything I want from modern cartoons! You can find it on Netflix! Join me after the jump for my review/thoughts on the first season of the show! Except FULL SPOILERS for the season. I started watching the new She-Ra and the Princesses of Power cartoon on Netflix this past week and I’m already in love! We have genius showrunner Noelle Stevenson to thank for that, creator of the beloved Lumberjanes. 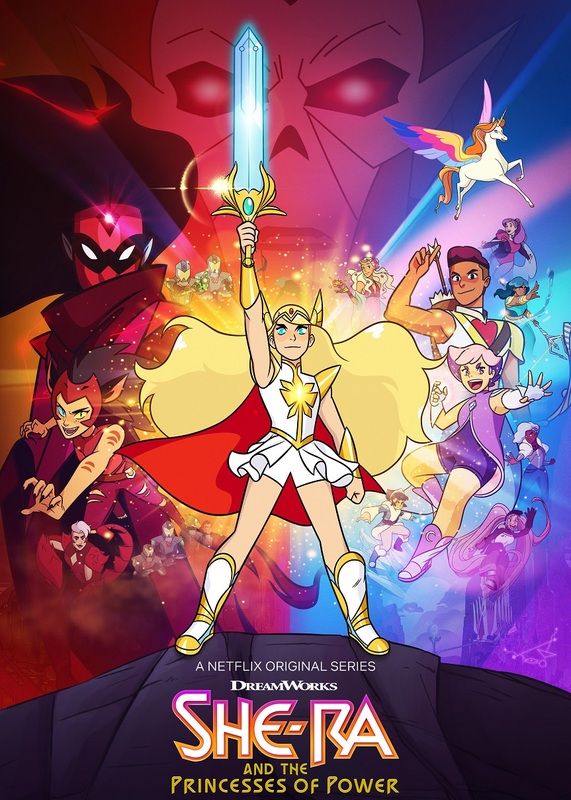 She-Ra and the Princesses of Power hits all the sweet spots that I love in modern day cartoons, with deft attention paid to characters, story, lore and world-building. She-Ra and the Princesses of Power is only the latest in a long line of cartoon reboots of 1980s classics. There’s a new DuckTales, a new My Little Pony, a new Voltron, a new Inspector Gadget, a new Danger Mouse, and the unending lines of Teenage Mutant Ninja Turtles and Transformers reboots. There was an old Thundercats reboot and a new one coming up. We’ve also got new Care Bears on the horizon. The 80s are ripe for nostalgia reboots! So what’s left? And what do I want to see? Join me after the jump for six suggestions!